If there’s one sure way to cheer up a friend or client who’s doing it tough – physically, emotionally or mentally – it’s with our Get Well Soon Hampers. They’re the ideal way to reach out and show someone that you care. For a start, they provide individuals with a bunch of goodies that they might not be able to acquire themselves, particularly if they’re stuck at home. Secondly, the exceptionally appealing collection of treats is bound to brighten up anyone’s day. A variety of Get Well Soon Gift Baskets is on our menu, catering to a wide variety of tastes and inclinations. Support friends and their families with a gourmet ‘get well soon hamper’ at this difficult time. From a little ‘pick me up’ while your loved one convalesces to tasty treats to share with visitors, our gourmet gift baskets help them feel a little better. When your friend or loved one is struck down with an illness or injury, it can be hard to know how to show them you care. Help your friend or loved one get back on their feet and fighting fit with a Get Well Soon Hamper guaranteed to give them a lift. Nothing brings a smile to the face of a sick friend more than a thoughtful gift straight from the heart. Be there when your loved one needs you most. 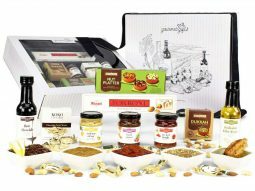 Send get well soon wishes and positive vibes with a gift hampers laden with indulgent gourmet goodies. Feeling poorly is the pits, especially when you’re getting poked and prodded by doctors, or battling pain. Whether it’s a cold or flu, broken bone, or serious illness, our gift hampers will boost your patient’s recovery better than chicken soup. Feel good knowing you’ve done your best to support your friend when they need it most. Our Get Well Soon Hampers are filled with premium Nougat, delectable chocolates and a selection of gourmet jam, chutney, mustard, salsa and more. It’s the ultimate way to break bed-ridden boredom and shake off the blues. Is your loved on in hospital? Hospital food only adds insult to injury or illness. Give them a few moments of delight during their stay. The only tricky part is keeping bedside visitors away from their tasty stash! 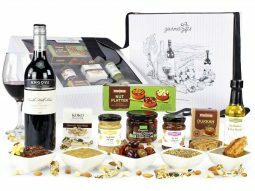 Start browsing Australian Gourmet Gifts for get well soon gift baskets sure to help your friend on the road to recovery. Comprising fresh gourmet products and sweets and beautifully packaged with a heartfelt card, a get well soon hamper is guaranteed to show someone that you’re there for them during this tough time.